Fort Worth Real Estate Attorney | The Farah Law Firm, P.C. 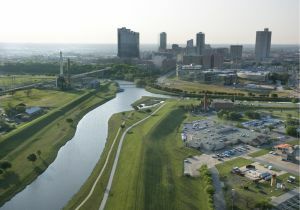 Fort Worth is known as the Queen City. It’s the second largest city in the DFW metroplex and the seat of Tarrant County. Its downtown is lively and pedestrian-friendly, with great restaurants, shops, and entertainment. Just north of downtown is the historic Stockyards, which celebrates the city’s Western roots with cattle drives, weekly rodeos, and other remnants of cowboy country. Its unique juxtaposition of urban sophistication and rustic charm make this city an attractive place to live. With Fort Worth’s booming real estate market, there’s a lot of pressure to rush into a deal without reading the fine print. That’s why you’ll want Michael Farah, experienced real estate attorney, on your side. Whether you’re preparing a lease, purchasing a home, or leasing commercial property in Fort Worth, there are numerous complex legal scenarios that you might encounter. With the amount of money involved in most real estate transactions, you may want a lawyer to assist you. In addition to contract preparation, a lawyer might also be required for disputes that happen between homeowners, landlords and tenants, zoning boards, or homeowners associations. Visit our real estate attorney services page to learn more. Injured in an Accident in Fort Worth? Call Michael Farah! Michael Farah represents accident victims in Fort Worth. Car accidents are all too common, and Fort Worth is no exception. In 2011, 62 fatal automobile accidents were reported in the city. Serious injuries are even more common. Indeed, you can expect to see news reports of severe accidents in Fort Worth several times a week. According to the National Safety Council, the average economic cost of a serious injury from an auto accident is $78,900. The severity of injuries caused by a car accident can not only result in high medical costs, but lost wages or long-term health problems. If you’ve been injured in a car accident in Fort Worth, contact attorney Michael Farah today to get the compensation you deserve. Call 817-467-1889 to schedule a consultation or fill out our contact form.